You may’ve not heard much about Chinese smartphone manufacturer Oppo, but the company is showing off a couple of promising technologies at this year’s Mobile World Congress in Barcelona. Specifically, a proprietary technology that can fully charge an empty smartphone battery in a mere 15 minutes, as well as a sensor-based image stabilization technique that’s supposed to be the first of its kind. The former is called Super VOOC and is currently still in the prototyping stage, but the company says it could be featured in Oppo smartphones later this year or early next. In a live demo at MWC the company showed off a reference device featuring a 2,500mAh battery going from empty to full in minutes -- 85% charge in 7 minutes in the pic above. To put that into context, Qualcomm’s next-gen Quick Charge 3.0 can reportedly get a smartphone from zero to 80 percent in around 35 minutes. 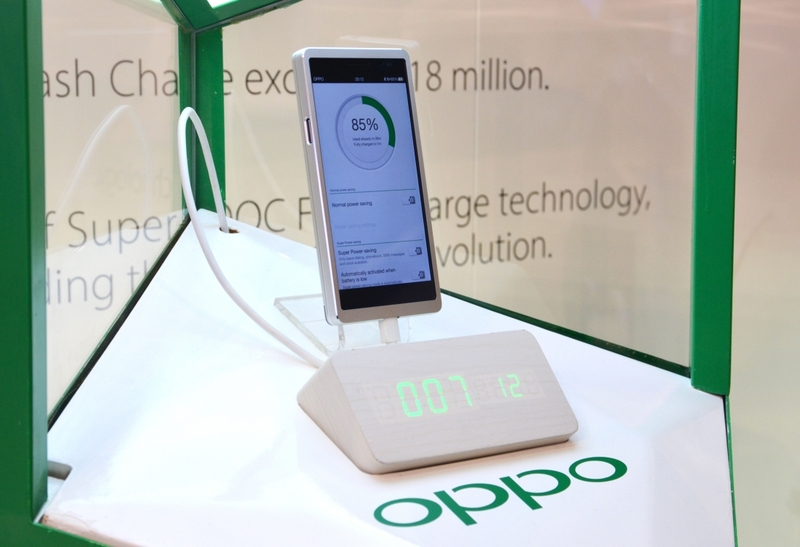 Oppo says that using a a low-voltage pulse charging algorithm, its VOOC technology stays within standard voltage levels for smartphone charging, ensuring “the utmost safety, stability and device sustainability.” The company said that it can achieve the results with either microUSB or USB-C charging ports. As for the optical image stabilization technology, dubbed SmartSensor, Oppo claims it’s the first sensor-based solution for smartphones rather than lens-based. The technology uses a voltage-driven microelectromechanical system built in to absorb shock, which the company claims allowed them not only to create the smallest optical image stabilizer of any kind in the world (no more camera bulge?) but also improve on current solutions by allowing for image stabilization on three axes (pitch, yaw and roll) instead of just two (pitch and yaw).